What do I have to do to put my website online? In fact, it is very easy. All you have to do is click on the "Publish" button on the top right corner of the builder. As soon as your website is published, you will see a window with its site address. 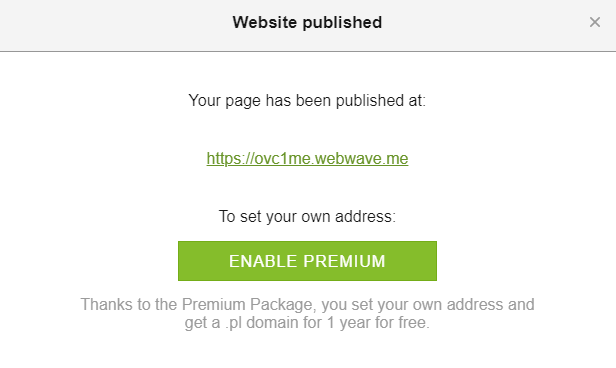 Remember, you can change your site address by subscribing to Premium Plan.